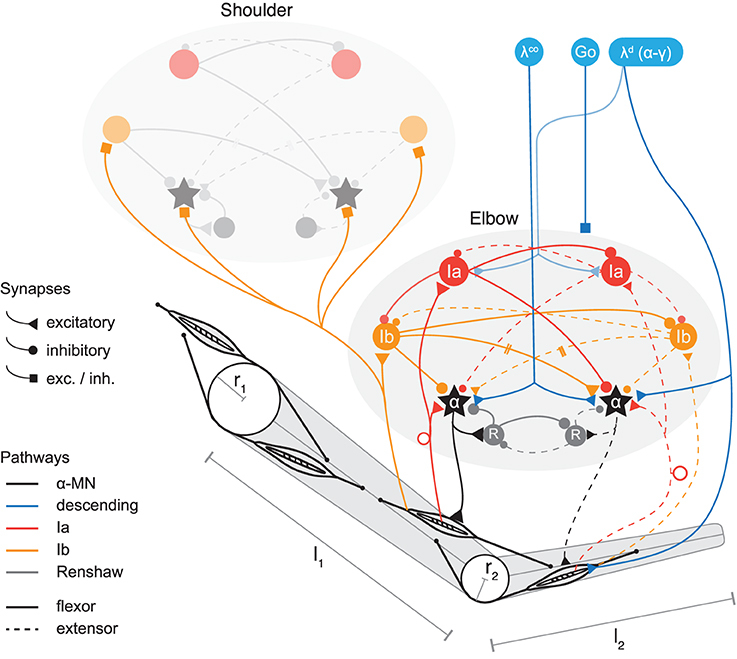 Buhrmann T and Di Paolo EA (2014) Spinal circuits can accommodate interaction torques during multijoint limb movements. Front. Comput. Neurosci. 8:144. doi: 10.3389/fncom.2014.00144. The model shows how a combination of the musculo-skeletal complex non-linear dynamics and spinal control circuits can produce smooth arm movements where the torque produced in one joint due to movement around the other is actively compensated without the need of a central control by the brain. It lends support to the plausibility of alternative hypotheses of motor control, such as the equilibrium-point hypothesis, that do not rely on internal representations or models.